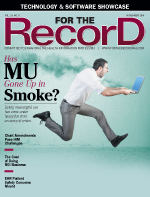 Has MU Gone Up in Smoke? Lately, the cash for EHR adoption blueprint has come under heavy fire. When first unveiled, the Medicare and Medicaid EHR incentive programs were viewed as catalysts for finally transforming the nation's health care system into an HIT powerhouse. With billions of dollars up for grabs, hospitals and physicians were quick to get onboard with the meaningful use (MU) program. According to Centers for Medicare & Medicaid Services (CMS) data, in the first year of the program more than 57,800 eligible professionals and 830 hospitals successfully attested to stage 1 MU as of June 30, 2012. However, by the time stage 2 criteria had been announced, the bloom was off the rose. "The HITECH Act of 2009 stipulated three aspects of health care that should be supported by the use of technology: electronic medication prescription, data exchange, and quality reporting," says Robert M. Wah, MD, president of the American Medical Association (AMA). "It was supposed to support the use of interoperable technology that facilitated the exchange of relevant information between providers and across care settings. But, unfortunately, that mission is getting lost in a litany of extraneous requirements, frustrating physicians who see the value of using technology to coordinate care." The AMA, which Wah says continues to call on the federal government to "refocus their attention on the original goals of the HITECH Act and to use stage 3 as an opportunity to slim down the overly prescriptive requirements that have made their way into the current program," is not alone in its criticism of the MU program. Across the industry, even staunch supporters have begun questioning whether it's feasible for many providers to continue participating. According to Russell P. Branzell, FCHIME, CHCIO, president and CEO of the College of Healthcare Information Management Executives (CHIME), timing and complexity are the primary culprits behind MU's deviation from its intended path—which has become particularly apparent from the bumpy transition to stage 2—describing the process as trying to move into a house before the foundation has hardened. "We've gotten to this point where we really need to make the transition to stage 2, but there wasn't a smooth process to make sure the foundation had cured effectively or that the cement was ready to build the rest of the house," he says. "The program is very burdensome for the small amount of money that's coming back to the providers, and it's not being incorporated in such a meaningful way that it improves the things that are important to physicians." Branzell is quick to point out that the program has reached the end of only the first of what will be three increasingly complex stages. In hindsight, he says the entire MU process should have spanned 10 to 15 years. However, during an economic crisis, lawmakers were too focused on rapidly passing the HITECH bill, from which MU emerged, to seek industry input. As a result, the timeline was compressed, leaving the industry "waiting for the cement to harden on the foundation of our house. We're ready to move in, the truck is coming down the street, but all we have is a big piece of cement," Branzell says. Senator John Thune (R-SD) concurs that haste bears much of the blame for MU's inefficiencies, noting that the program "was born out of the 2009 'shovel ready' stimulus mentality where agencies were focused on getting federal money out the door as quickly as possible. As a result, this program has suffered from a lack of long-term, strategic planning." The stimulus mentality also may have given an unfair advantage to vendors, who Thune says "generally have an upper hand in their relationships with providers, and serious thought must be given to ensure vendors are accountable in this program." To that end, the FY2015 Labor-HHS-Education appropriations bill includes language regarding decertification of vendors. By design, MU was an ambitious program. However, many point to the shift in supporters' attitudes since the introduction of stage 2 as evidence that its objectives are too lofty and its timelines too unrealistic. Wah says that while MU has led to a significant increase in EHR implementations in both hospitals and medical offices, it has lost sight of what is important: the capture, exchange, and identification of key data such as lab values, medications, allergies, and diagnostic reports. "The AMA fully supports the use of HIT to reduce medical costs and to improve health care," he says. "However, from the beginning, the AMA has asked for a limited set of requirements that only focus on the most important aspects of data collection and exchange. … The MU objectives tried to put the cart before the horse in an attempt to move too many aspects of medicine all at once." As a result, despite a strong start, MU has strayed off course, forcing providers to rethink their participation. CMS data show that, as of August 1, 322 hospitals had attested for the 2014 reporting year that began in October 2013. Of those, only 78 attested to stage 2. Further, of the 5,365 physicians and other eligible professionals (EPs) who attested for their 2014 reporting period that began January 1, just 1,898 attested to stage 2. Those numbers are just a fraction of the 4,993 eligible hospitals and 537,600 EPs who registered to participate in MU—a sharp decline that is indicative of problems that are self-inflicted but not fatal, says Bruce Eckert, national practice director of strategic services with Beacon Partners. "Over the last several years, clinical automation has risen dramatically for the average US provider," he says. "It wasn't that many years ago that computerized physician order entry was relatively rare, and now it is the rare hospital or provider that doesn't use it, so I think MU has done a lot to promote the use of technology in health care. Does it need some midcourse corrections? Of course, but most of the problems have been self-inflicted, primarily the inadequate lead time vendors were given for their 2014 CEHRTs [certified EHR technologies]. Stage 1 was fairly successful in my view; it was the combination of 2014 CEHRT and MU 2 that turned out to be too challenging in too short a timeframe." A significant point of contention is the prescriptive nature of stage 2, in particular its requirements surrounding two criteria: view online, download, and transmit (VDT), and summary of care/transitions of care. Stage 1 required providing VDT access to 50% of patients within the reporting period while stage 2 mandates that 5% of those patients actually utilize the functionality. The problem, says Wah, is that "many patients have limited need or desire to access their information. Physicians are now tied to a MU measure that is completely out of their control to meet. Some physicians whose patient population has limited access to computers or the Internet are finding it very difficult to meet the 5% threshold. Others worry that their office staff are spending more time instructing patients on how to register and access complex patient portals, taking away from time they could be spending addressing medical needs." Stage 1 also requires EPs and hospitals to provide a summary of care record for more than 50% of transitions of care and referrals. Under stage 2, they must do so electronically for more than 10% of these transitions using CEHRT or via health information exchanges (HIEs), both of which are costly to implement. Further, with limited HIE connectivity, by default most providers are left with only Direct Protocol via their EHR. "The problem is that, by and large, they're making providers use Direct Protocol. It requires recipients of the summaries to have a Direct [Protocol] address. It's not easy to get that set up," says Jason Fortin, a senior advisor with Impact Advisors, adding that it's especially problematic because transition partners are primarily long term care or rehabilitation facilities that are not subject to MU. "They may eventually set up a connection, but it may take some convincing," he says, noting that 10% is "a high threshold. If folks look at all the requirements of the measure, it's very prescriptive. And providers are really struggling to meet it." What's more, Wah says, MU is an all-or-nothing program in which missing one measure means participating providers lose their incentives and face penalties. "We have repeatedly asked the administration to provide much-needed flexibility so physicians can continue to participate without excessive burden and worry about missing a small fraction of one measure. We have asked for a 75% pass rate to receive incentives and a 50% pass rate to stave off penalties," he says. But while many in the industry agree that MU is overly ambitious, its timelines are too aggressive, and its approach is too stringent, it's not a universal opinion. Though he agrees there are issues with meeting MU deadlines, Eckert doesn't believe the program is too regimented or "one size fits all." The standardization and minimum levels of automation set by MU are "incredibly helpful to our industry," he says. "Without such a level-set, I don't think things like the CCD [continuity of care document] and Direct [Protocol] could have gained any traction." Eckert says organizations that did the minimum necessary to attest will likely find themselves in trouble down the road because "they did not adequately integrate their technology with their processes. It is not too late for them to fix that, but they will likely need to make process optimization the goal rather than [securing] the remaining MU dollars." HIT thought leader and advocate C. Peter Waegemann also doesn't believe MU has overstepped its bounds. In fact, he says the program didn't go far enough. "However, I understand the frustrations of many physicians who have to deal with user-unfriendly and cumbersome systems," he says. "I can understand hospitals that are struggling with system adjustments, and I support patients who find that MU only provides part of an open, transparent access to their care data and decision making in the care process." Where MU has failed is "in meeting the objectives of higher efficiency and improved documentation, and it does not address an overhaul of the financial system. Further, it does not sufficiently require interoperability and has even neglected to enhance some previous work," Waegemann says. "MU is kept in a straightjacket that consists of several powerful stakeholders, including the HIT industry, professional organizations, and an outdated dominant standards organization. In addition, the EHR certification process is ill founded and has been used to keep new companies and new ideas outside the health IT field." He says the certification process supports established vendor organizations while stifling innovation. In particular, it does not place sufficient emphasis on digital diagnostic and care functionalities, ignores the potential of social media, and fails to address the issue of care silos. "Compared to the opportunities that health care offers and needs, MU's steps are way too small," Waegemann says. "MU's main problems come from the group thinking in committees, medical organizations, and others. It is a mixture of lack of successful strategies and the fact that many stakeholders do not want to move to modern systems because they disturb the status quo. If MU would govern the computer industry, we would not have iPhones but would deal with the frustrations of Blackberries and other outdated systems that provided limited functionalities. New solutions would not be allowed because of the concern for and of existing companies and standards." Thune also believes greater attention must be paid to breaking down the silos that are impeding progress. "More must be done to move past 'sticky care' networks and walled gardens that hinder the sharing of information, which often must be overcome by very expensive interfaces between systems," he says. Eckert believes the diversion of resources away from innovation is temporary. Further, some vendors that were not able to support MU functions from the beginning will continue to be challenged to keep up with iterative changes. He also points to the IT standardization that is the underpinning of MU as a driver of innovation, predicting that "we will soon appreciate great benefits from the common standard of EHR functions available almost anywhere. Innovations will be built on top of this new environment that would have been impossible without this common standard." Fortin says MU hasn't stifled innovation so much as it demands it. For example, financial and technology limitations prevent many providers from exploring new approaches to HIE. "It's all they can do to try to comply," he says. "There are a lot of EHR vendors doing very cool things [but] customers by and large are focused on things that meet meaningful use requirements. Their priorities are on making sure systems are certified so they don't get dinged in audits. But if there is a demand for it, vendors have shown they will continue to innovate." Many in the industry had pinned their hopes on the final rule issued by CMS in September, which did include some flexibility by allowing participating providers to use 2011 CEHRT or a combination of 2011 and 2014 CEHRT for the 2014 reporting period. It also allows MU attestation under 2013 reporting definitions, removes penalties for failing to transition to stage 2 during the 2014 reporting period, and delays the start of stage 3 until 2017. The CMS says many of the changes were made in response to vendor concerns that there wasn't enough time to make the coding changes required to meet 2014 CEHRT criteria. This meant some products were certified later than anticipated, affecting providers' ability to get the systems implemented. "We listened to stakeholder feedback and provided CEHRT flexibility for 2014 to help ensure providers can continue to participate in the EHR Incentive Programs [going] forward," CMS Administrator Marilyn Tavenner said in a press release. Few were as enthusiastic about the final rule, however. While many in the industry commended the action, it came too late for others and provided too little flexibility in the reporting period. "It was the right idea, just way too late in the process. We asked for this 18 months ago," Branzell says. "If they had done this [then], we wouldn't be having this conversation." Specifically, the CMS did not back down from its 365-day reporting requirement despite not issuing the rule until September 4. That gave hospitals less than 30 days and EPs less than four months to implement CEHRT and begin collecting data. "There are literally thousands of hospitals trying to figure out if they can get software appropriately installed and configured for stage 2, and if there is any way possible to start collecting data by the end of the month," says Branzell, adding that the majority of the industry supported a 90-day reporting period to help offset the limited availability of 2014 CEHRT. "They said they didn't want to change [the reporting period] and lose momentum. Why would this in any way inhibit the program? There is no clear understanding of why [the 90-day period] would be anything other than positive." Fortin concurs, adding that the final rule seems even more restrictive than the proposed rule. While CMS officials missed an opportunity to address provider concerns, "they didn't make any changes for 2015 because they didn't want to put the program at risk," he says, adding that "bigger risks are posed by making everyone do a full year in 2015 though. It seems to me that [90 days] would have been a welcome and reasonable compromise. And it seems like it would have been an easy win." Though some relief is gained under the final rule, Eckert says it will be hard-earned and short-lived. It also is not likely to prevent a repeat of the chaos when the 2016 reporting period rolls around. "At best, the new final rule gave everyone three months of relief, but a lot of analysis and documentation is required to gain even that," he says. "It will result in considerably more attestations for the 2014 reporting period and far fewer payment adjustments in 2016, but I suspect we will be dealing with these same issues in 2015." Wah says that while the changes from the CMS are appreciated, they are too little and too late for many participants. More than one-half of Medicare physicians have not started the MU program and therefore were required to attest before September 30 to avoid financial penalties. The rule does nothing to address "the flexibility needs of physicians who are finding it very difficult to meet the overly prescriptive MU requirements in stage 2. Many of these physicians are specialists who feel the program is too primary care–centric and does not meet the needs of their practices," he says. The "too little, too late" mantra is coming not only from providers and vendors, but also lawmakers. Noting the mixed reviews the final rule has received, Thune and his colleagues—who have been calling for greater flexibility on the timing of stage 2 since early in the fall of 2013—are pleased their request was finally heeded. "I believed then, as I do now, that we must continue to push for improved connected care while being mindful of not exacerbating the digital divide between small and rural providers and larger practices with more resources," Thune says. "As we move into the second year of stage 2, we will have a better understanding of how the flexibility granted will affect our push toward greater interoperability." He adds stage 3 should "focus less on process and more on outcomes and interoperability." For its part, CHIME intends to keep fighting the good fight to win adjustments in the reporting period, while at the same time providing its members with as many tools as possible to help them understand and meet the stage 2 reporting requirements. Nevertheless, "some just won't be able to make it," Branzell says.